Tempted to take advantage of that 0 percent credit card balance transfer offer? If you do, it may cost a bit more than it used to. Before you sign on the dotted line, read CreditCards.com's compendium of articles and watch a video on what you need to know about balance transfer credit cards. If you've noticed a fresh spate of 0 percent balance transfer offers in your mailbox lately, you're not alone, experts say. However, the latest offers come with some new terms and conditions that could trip up unsuspecting consumers. Includes a chart of some of the latest current balance transfer offers. This calculator calculates the amount of interest you'll save by transferring existing balances to a lower rate card. If you've racked up debt on a high-interest credit card, transferring the balance to a card with a lower interest may sound like an enticing way to save cash -- but it's not quite as simple as it sounds. If you have a large debt on a high-interest card, how do you determine if transferring that balance to a lower-interest card is right for you? The Credit Guy -- Todd Ossenfort of Pioneer Credit Counseling -- explains what a balance transfer is and how it can affect your credit. Transferring a credit card balance used to be so easy and painless that some consumers referred to it as a game, but this 2008 story describes how the game changed, with issuers imposing higher fees as the economy soured and a new credit card reform law loomed. A balance transfer to a low-interest credit card may be the best step if you're drowning in debt. Too many balance transfers, however, can result in more harm than good. When you transfer a credit card balance from one card to another, you lose points on your credit score. But if the rate is lower and the limit is higher, you gain more. 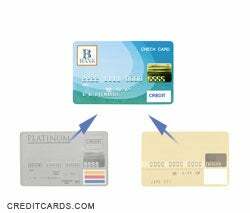 If you transfer the balance of a credit card purchase to another card, does the original purchase protection still apply?